For the benefit of Outlander enthusiasts who have read the series of books by Diana Gabaldon, we’ve been looking at the books with an ‘Edinburgh Eye’, finding places and things around Edinburgh to interest the hardiest of Outlander fans. An earlier look at the Battle of Prestonpans with a visit to the battlefield led me to look more closely at the text of Dragonfly in Amber, and delve into the parallels between the history of the Jacobite campaign of 1745-46 and the events described in the fiction. Jamie and Claire pause awhile in Tranent to tidy themselves up after their journey and prepare to report to Lord George Murray, the commander-in-chief of the Jacobites. Lord George Murray is in some disarray when he finds Jamie, reporting to him the confusion over where the Highland ranks are gathering. As he is trying to work out a proposed plan for the engagement with the British forces, a contingent of the Highland forces is ordered to Tranent Churchyard. 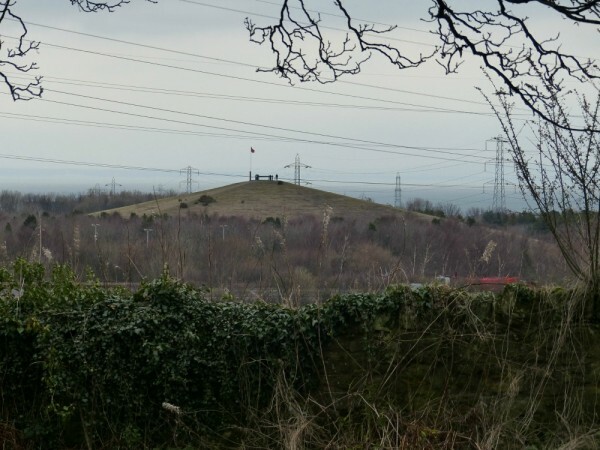 There they hide behind the walls, on high ground, but General Cope’s men see them and fire on them, wounding some (read about this engagement on the Clan Cameron records). “With the army divided, and His Lordship occupied in conferring with villagemen who knew the hell of a lot more about the surrounding terrain than did either His Highness or His Lordship, O’Sullivan, one of the Prince’s Irish confidants, had taken it upon himself to order a contingent of Lochiel’s Cameron Clansmen to the Tranent churchyard. 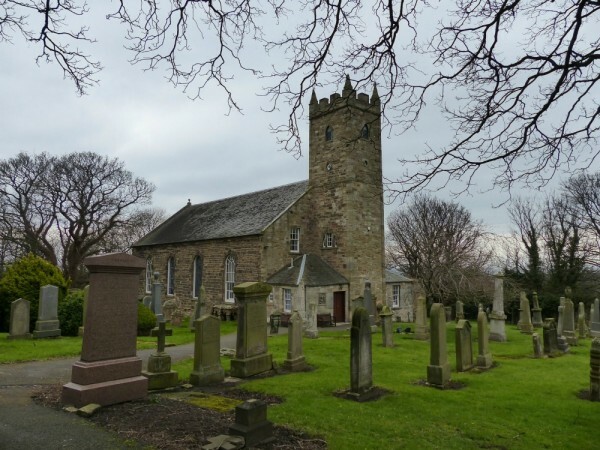 If you wish to visit Tranent Churchyard, you’ll find that the original Church is no longer. 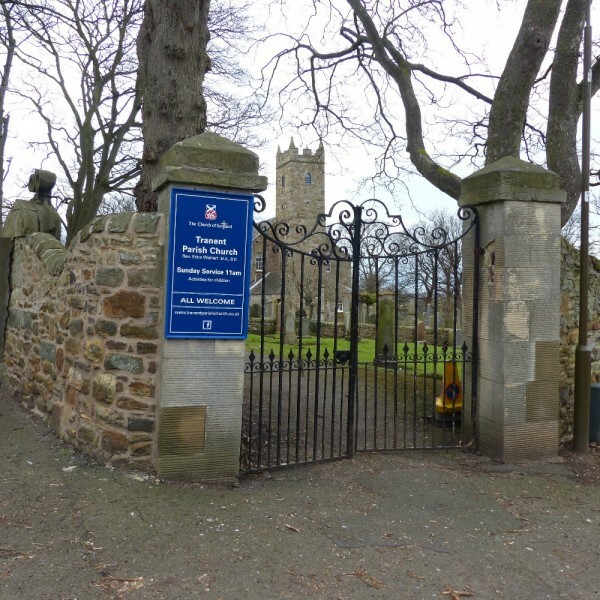 It was re-built in 1799 and refurbished again in 1954 (see Tranent Parish Church History), however according to the sign-board which you will find nearby, the walls still exist as does the Doo’cot which dates from 1587. 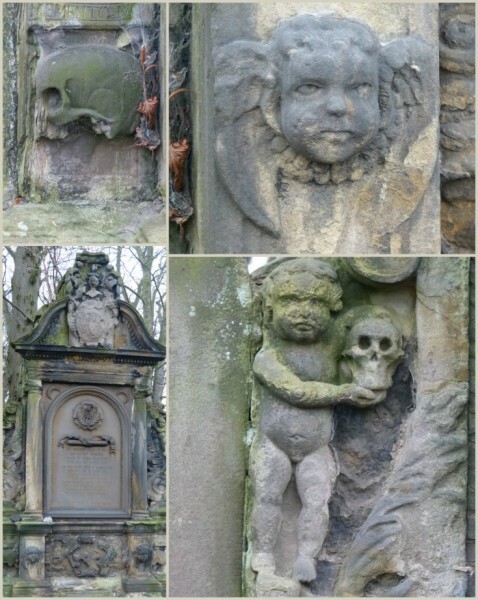 So, take a walk through the churchyard, look at the gravestones and notice some of the ornate stones and carvings. 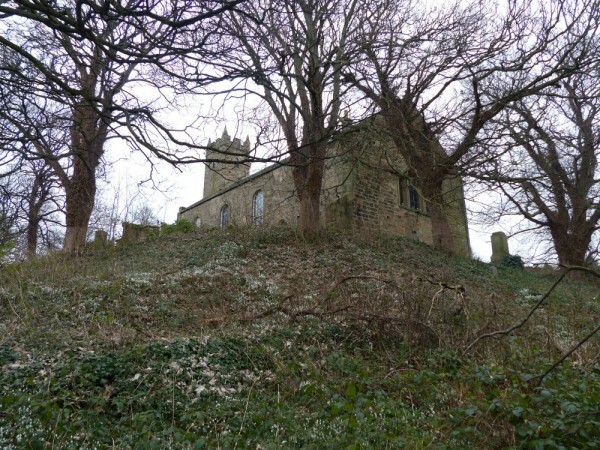 Then from the gates to the church, take the path downhill and turn left into a lane which leads to the Doo’cot on the right with the walls of the church grounds on your left. You’ll find an information board there about the Battle of Prestonpans, and you can look towards the Battle Byng which you’ll be able to see on the other side of the busy A1 road which you’ll hear to your north. You can also see through trees towards Bankton House too. In researching this article, I read a bit more about the history of Tranent Doo’cot, and found an unexpected link to someone whose name is very similar to one of the Outlander characters. The book “Sketches of Tranent in Olden Times” by J Sands is stored on-line in full and has a chapter about the Doo’cot. 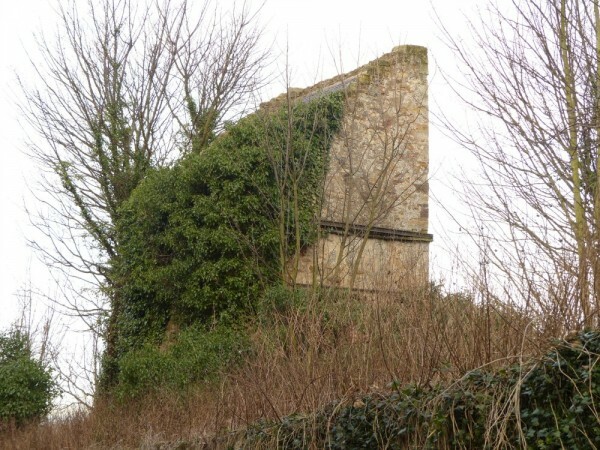 It says: “To the north of the churchyard of Tranent, and separated from it only by a road, stands an old dovecot, now empty; but which had been constructed to accommodate 1122 pairs of pigeons. Supposing it had contained only half that number, what a curse it must have been to the neighbourhood about the end of the 16th century, when farmers were ignorant of their trade, when land was swampy and undrained, when implements were of the rudest description, and when consequently the crops must have been scanty and precious!”. The chapter goes on to say that there was once a crest in the stone of the Doo’cot, but it still bears the name David Seton and the date, 1587. This David Seton probably lived in a house in Tranent called The Royal George and had a servant, one Gellie Duncan, (does that name remind you of anyone in Outlander?). She was in the habit of treating the sick and was interrogated by David Seton to find out how she had come by this knowledge. From the account by Mr Sands, it appears that Gellie Duncan confessed to witchcraft and gave the names of another 30 people who were also involved. The Witch Trials between 1560 and 1707 may have resulted in the deaths of some 3,000 – 4,000 people accused of witchcraft. 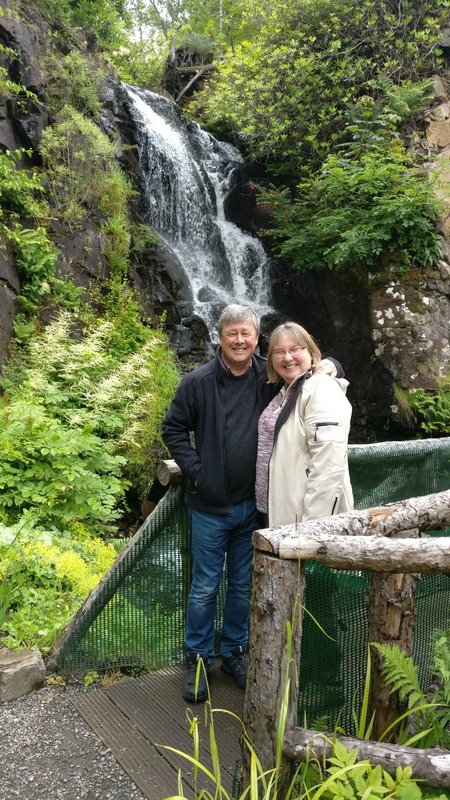 We do hope that while you’re staying at Craigwell Cottage in Edinburgh you’ll take the opportunity to follow some of the Outlander explorations we’ve been writing up for you. You’ll find Outlander Exploring on the Royal Mile and Outlander Exploring in East Lothian – The Battle of Prestonpans. To plan your stay here, simply select your start date from the Book Now box to the right (or bottom of the page on mobile), and complete a booking form to reserve your dates. We look forward to welcoming you to Edinburgh and sharing our Outlander locations and adventures.